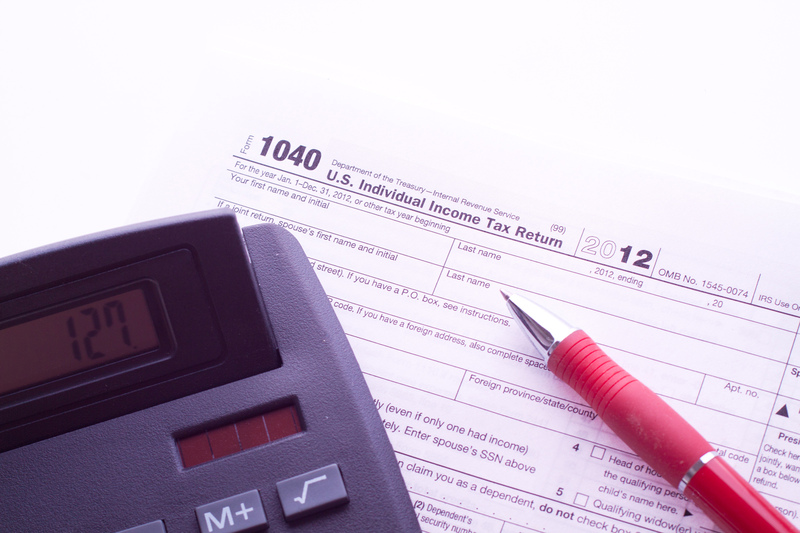 Are You Getting Your Maximum Tax Refund? For many of us, our annual tax refund is nothing more than an added bonus – a bit of ‘fun money’ we look forward to reclaiming. For some, however, tax refund season is a time to pay off debts, invest in the future, and seriously get ahead financially. How does one make the most of tax time? Making a few small (yet significant) changes will allow you to maximize your refund potential, and walk away with far more than you ever deemed possible. Believe it not, filing under an appropriate status can have a major impact on your refund. Your status influences the credits you receive, your filing requirements, your standard deducation, and ultimately, the size of the refund you receive (or the amount you pay, as the case may be). Next, take a look at how you have been filling out your W-4s. Most of us hurriedly fill out this tedious paperwork before beginning a new job; we stick to a specific formula, or ask the guy sitting next to us for some quick advice. “Hey, do I put a one here? Did you put a one here?” The W-4 you fill out upon employment is extremely important, seeing as it tells your employer just how much federal tax to withhold from your weekly or bi-weekly paychecks. While claiming fewer allowances on your W-4 will lead to a smaller paycheck, doing so will inevitably lead to a bigger refund. If you are looking to maximize your tax refund, claiming fewer allowances is the way to go. We are more than willing to sit down with our clients and help them determine which allowances to claim. Next, take the Dependent Care Credit into careful consideration (assuming you have dependents, of course). This credit is based on the amount you paid for the care of a qualifying dependent. Caps do exist, though they are rather high – $3,000 for one dependent, and $6,000 for two or more. (Keep in mind that you must deduct any dependent care benefits offered by your employer.) So, who qualifies as a dependent? Any child under the age of 13, or any individual who lives with you for more than half the year (including a spouse), and is mentally or physically incapable of taking care of him or herself. Other criteria must be met in order for you to claim the credit; for example, you must have filed for a joint return, and each dependent must have an SSN added to your return. Additionally, you cannot claim the parent of the child as his or her caregiver. There are a few qualifications that must be met, but if they are – you will see a huge increase in your potential tax refund. If you use your own car to assist a nonprofit organization, you can deduct the mileage that was used. This may include transporting equipment to nonprofit events, driving volunteers (or yourself) to and from these events… even transporting banana bread to a nonprofit bakesale! You are able to deduct tithes to churches, as well as a variety of other religious organizations. If you donate property to a nonprofit organization, such as clothing, furniture, office supplies, or electronic equipment, you can deduct the cost of this property when filing your taxes. If you have questions about qualifying property, please feel free to consult with us. There are many things to consider when attempting to maximize your tax refund – many things that you may not have considered in the past will contribute to a greater return, and put more money in your pocket at the end of the day. Do you make work calls using your personal cell phone? There may be a deduction in that. When professional expenses are concerned, it is important that you seek the advice of a professional accountant. We are here to help, and look forward to helping you maximize your refund to the very best of our ability.